In northern Minnesota there are pockets of grey hematite that are so pure that it was used as a “sweetener” for iron processing. 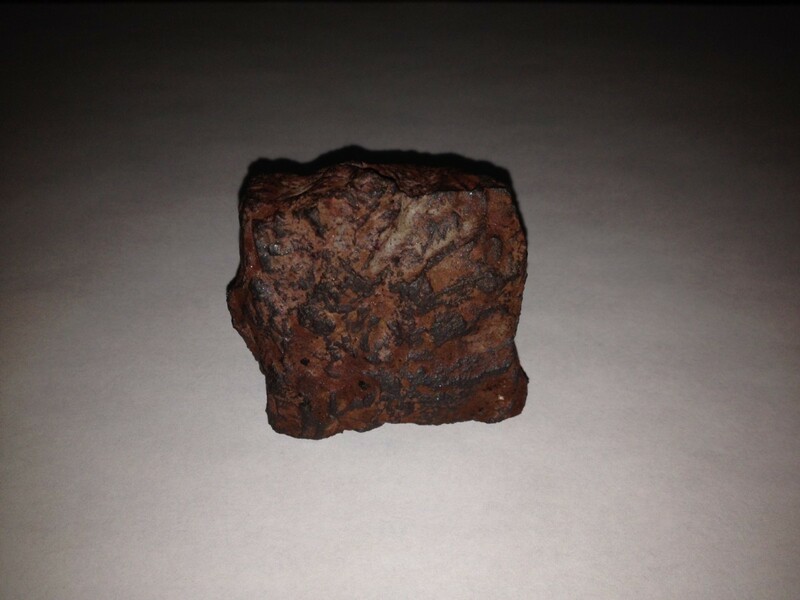 Since it consists of about 70% iron and 30% oxygen, it could be used to raise the temperature of forged iron without adding contaminating materials. Hematite was crucial to the American steel industry until the late 1960s when more advanced iron processing allowed the use of much cheaper taconite, which only contains about 30% iron. As interesting as this might be, you’re probably wondering what this all has to do with astronomy. It turns out there is another planet where hematite is relatively common. In fact it helps give the planet its reddish color. What’s interesting is that gray hematite also exists on the surface of Mars. Gray hematite typically forms in the presence of liquid water. 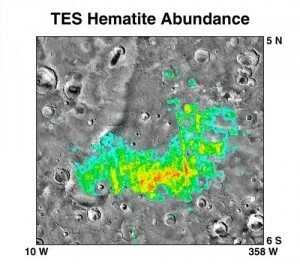 So the presence of gray hematite is an indicator of liquid water in Mars’ past. There is also another interesting aspect of hematite. In the oldest Minnesota hematite mine there are bacteria that thrive on iron. They don’t need sunlight, and they use oxygen from the ore itself. It’s rather similar to conditions that likely exist beneath the surface of Mars. Of course just because such an organism could survive on Mars doesn’t mean that life exists or did exist on Mars. But it does show that the extreme conditions of Mars don’t rule out the possibility of Martian life.